Nearly 40 Nautique employees traveled from Orlando, Fla., to the Dominican Republic last week, spending a portion of their vacation time serving those in need in the Dominican cities of Cienfuegos and Mocha. The employees were divided into two groups. One of the teams spent the first part of the week in downtown Cienfuegos, building tables, benches and chalkboards and applying a fresh coat of paint to a schoolhouse for needy children. 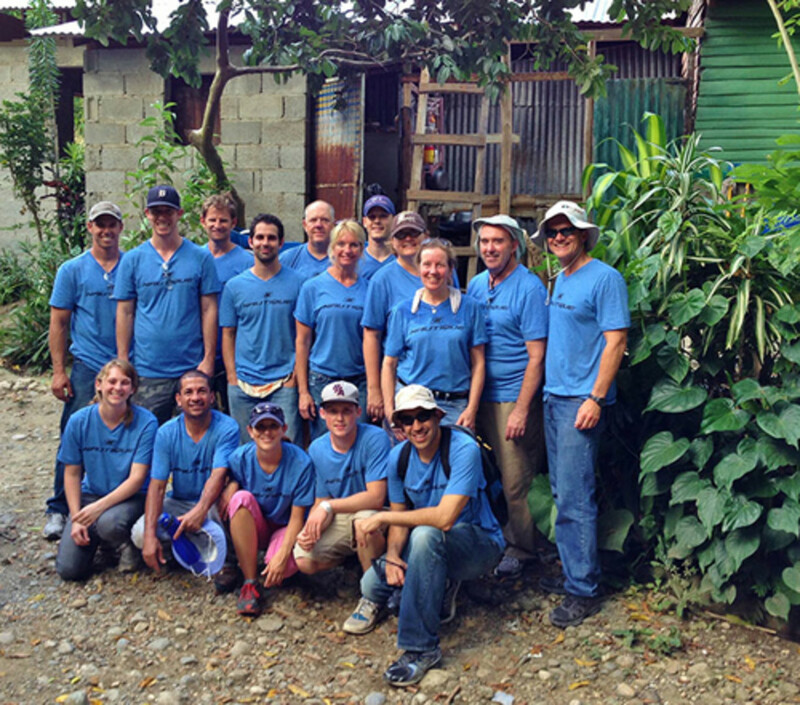 The second group worked on a church and family home in Mocha, about 45 minutes outside Santiago. The team helped finish out siding and windows, as well as installing a handrail and building a stage for the church. The family in Mocha has a completed roof and a door to their home for the first time, thanks to the Nautique team. Click here for Yeargin’s Nautique Insider blog about the endeavor.